Now Available For Base, Grand Sport, Z06, and ZR1 C6 Corvettes. If you enjoy showing your car as much as you enjoy driving it then you are going to love this. 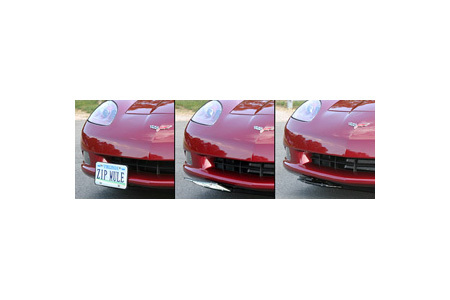 The C5/C6 Corvette Remote Controlled Retractable Show 'N' Go front license plate frame from Corvette Mods offers you a quick and easy solution for hiding the front plate when showing your car or presenting it when cruising the strip. 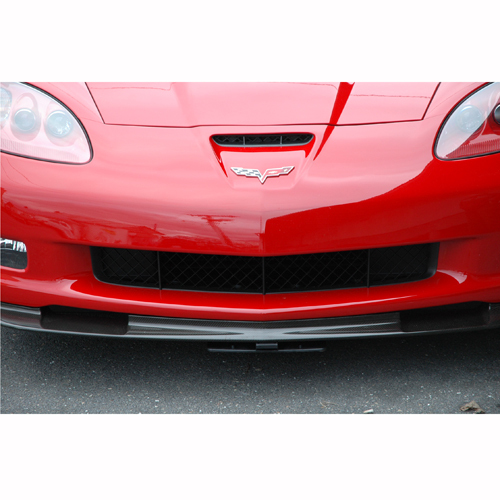 This Corvette front license plate bracket works with all C5/C6 Corvette models including the Grand Sport, Z06 and ZR1 without modification. 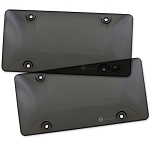 It mounts under the front bumper, requiring only two small, hidden holes be drilled for mounting. Then with the click of a button you can slide the license out of sight for the show and slide it back in place for street-legal driving. 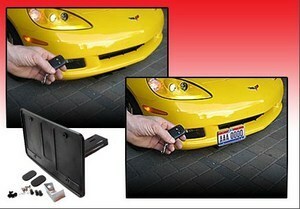 Comes with a two button fob to control the front plate any time you like. 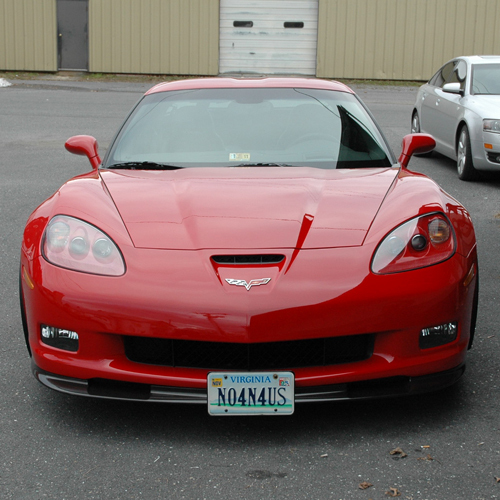 Amaze everyone at your next Corvette event. Pass the word to other owners: Your answer is here. Q: How far does this stick down when retracted under the car? Q: Can this be mounted in the center on a C5 Corvette? I see pictures that show it mounted in the center, but the notes and comments seem to indicate tat it could only be mounted on the side. Please clarify. Thank you! Q: How do you conect this into the cars electrical system? Is this a hard or time consuming job? Does instructions to complete the insatlation for the year vette you own come with the unit? Q: Will this work on a C-4 1987 or 1989 corvette convertible? Q: Is the remote an unit battery powered, doesn't require hard wiring to the cars electrical?